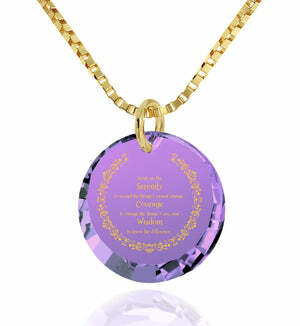 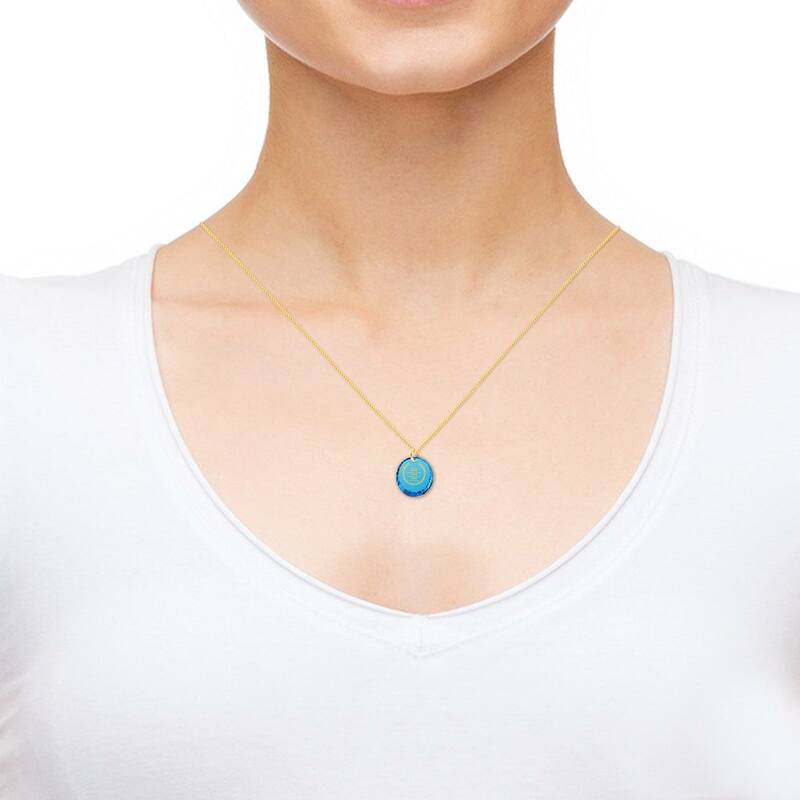 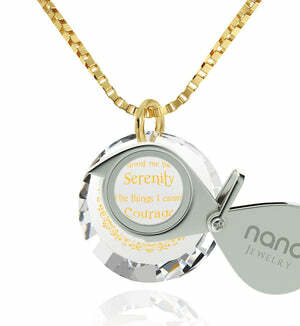 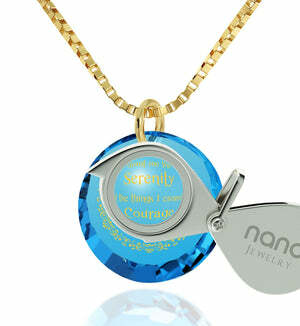 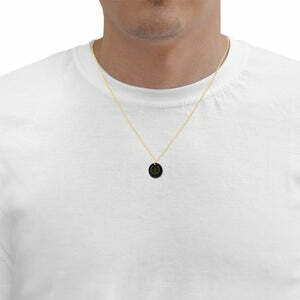 Serenity Prayer Pendant - Give Her Hope Through Nano Jewelry! 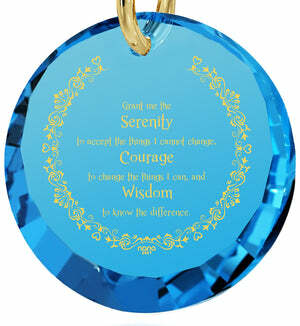 Meaningful and permanent change requires one to sometimes accept harsh truths. 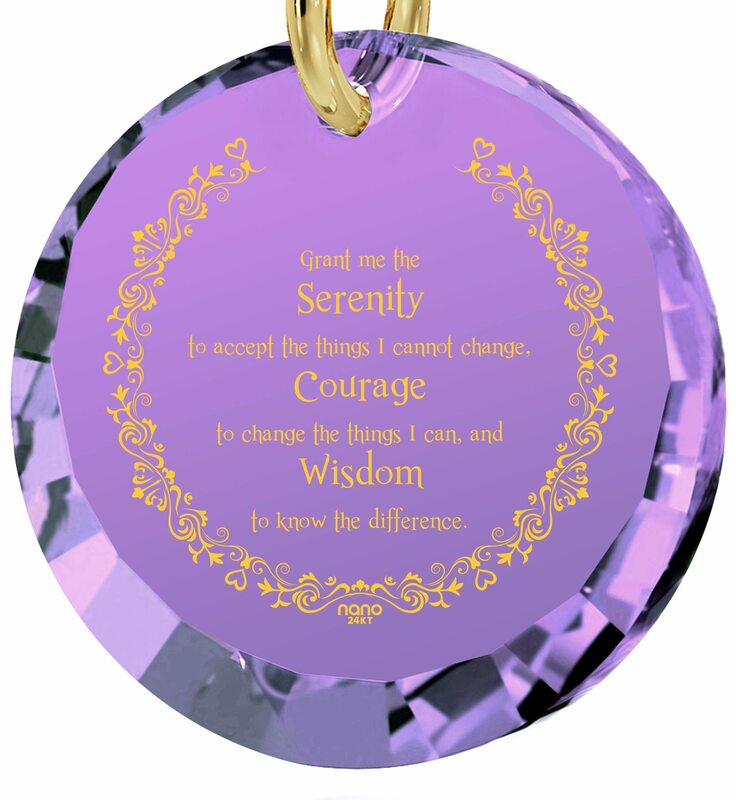 Some are less pleasant than others, but one that has proven most successful in moving forward is that there's no betterment without humility. 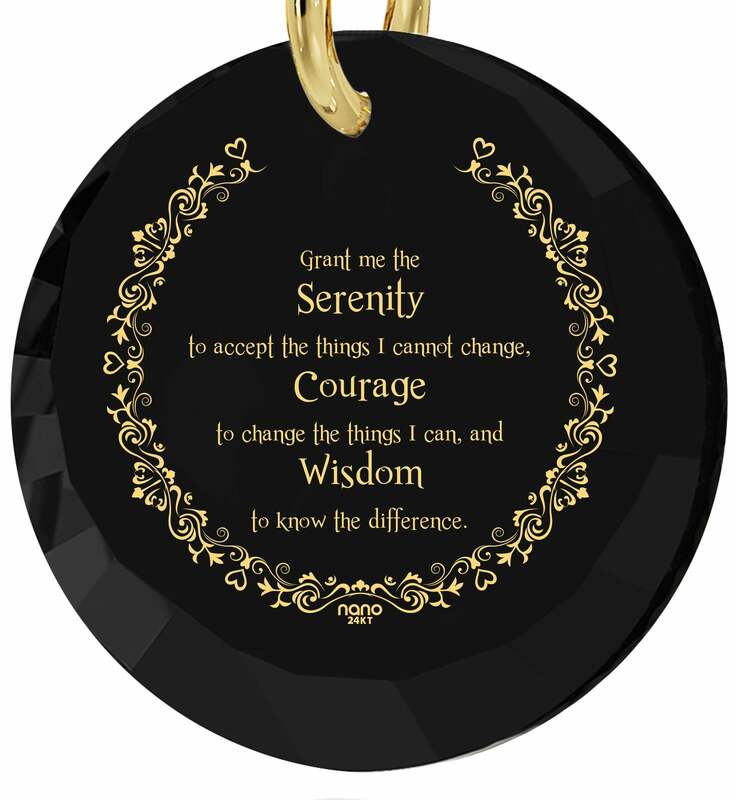 Admitting our weaknesses and shortcomings actually makes us better prepared to focus on our strengths and create positive change around us. 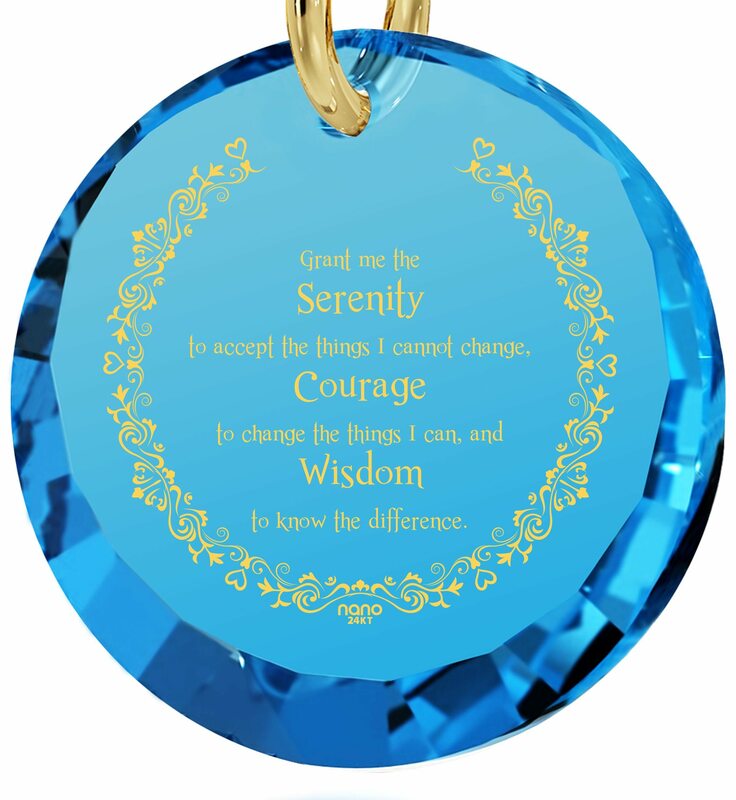 The serenity prayer gives courage and willingness to change, both things she could really benefit from. Wouldn’t it be amazing if its words were there with her in a form she can touch and connect with? 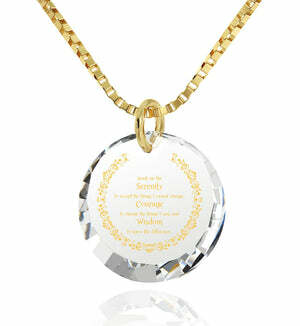 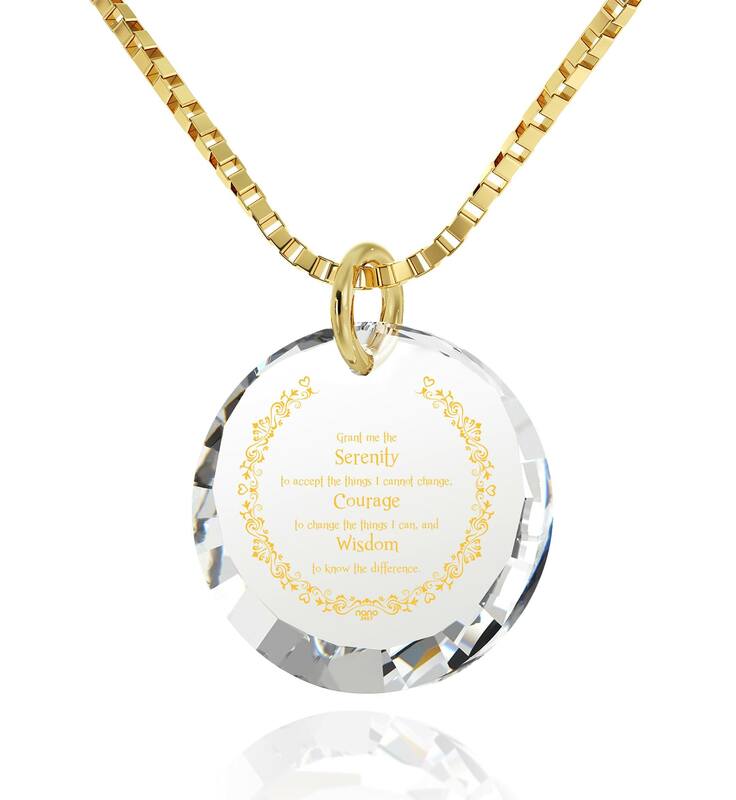 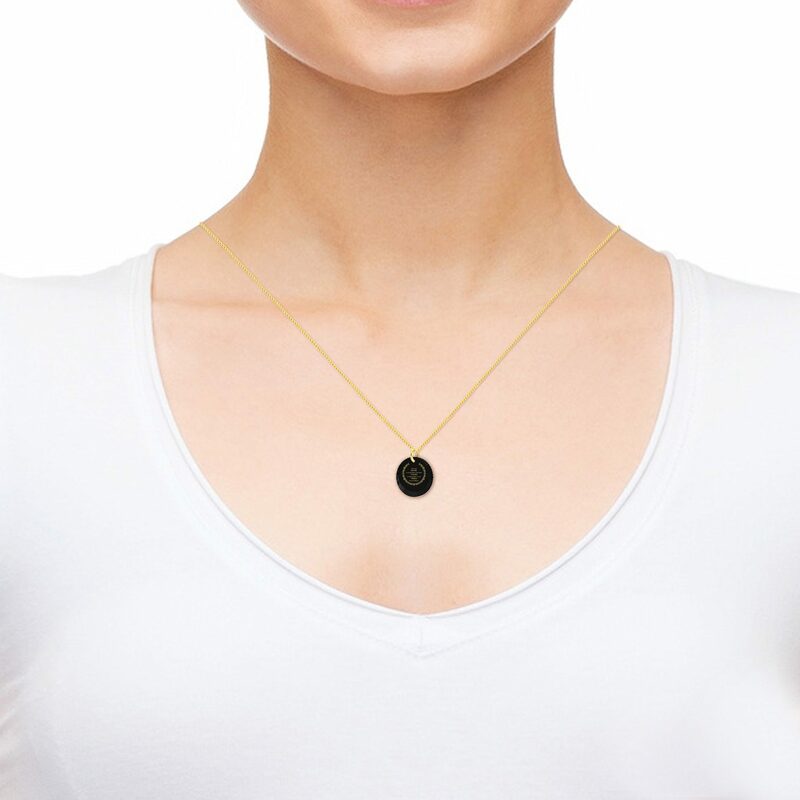 Through one of the best presents for women, this serenity prayer pendant ,it can be! From afar you couldn’t really tell it’s serenity jewelry – all you’d see is the inviting glow of gold emanating from the chain & bail, accompanied by colorful light caught and given back by its CZ gemstone. 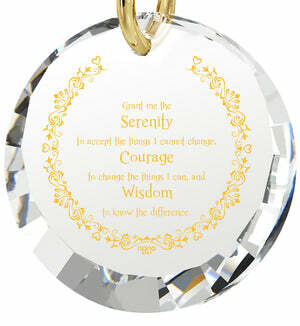 A closer look brings the subtle markings which make up the words of the serenity prayer into view. Made to last forever using a never before seen technology, the 24 karat golden flowery border and delicate words themselves are the hallmarks of a one-of-a-kind womens gift she’ll cherish when the need is greatest, and love to take pleasure in when things start coming around. 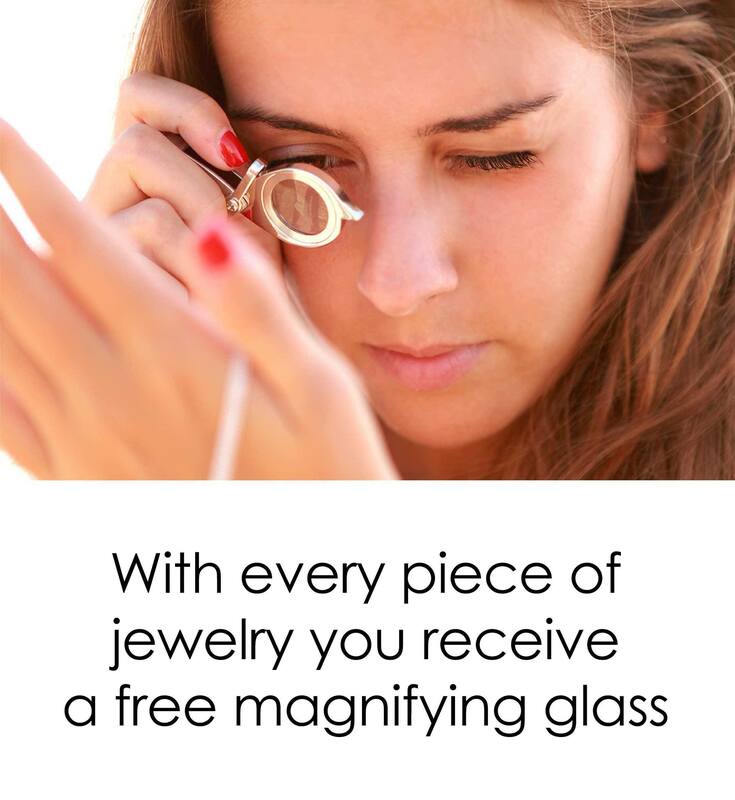 The prayer is written in two different font sizes, but she shouldn’t have any trouble in reading the entire thing as even the smaller lines are made clear by her new magnifying glass, a standard accessory to all of our creations, serenity necklaces or otherwise. All that’s missing is fine jewelry box to round out the inspirational gift for her, and we’ve provided one of those too.